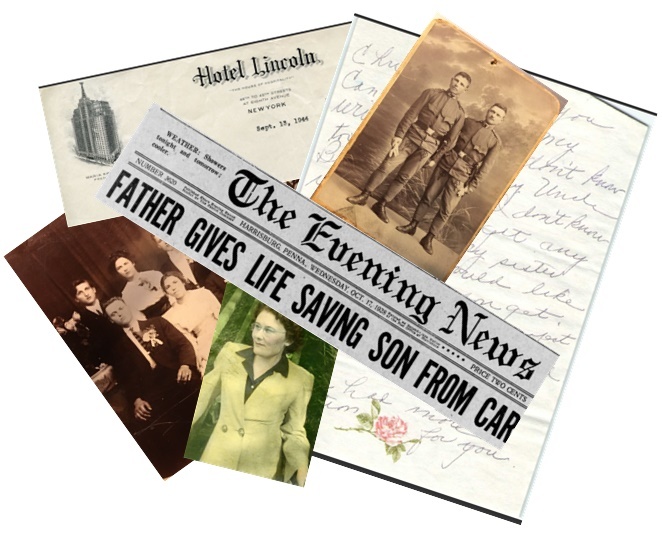 As discusses in last weeks blog, you’ve found a safe space for your inherited family treasures. What is the next step? After ensuring these items are safe, you can begin to sort and organize these items. It’s a good idea to use a divide and conquer approach. This will help avoid becoming overwhelmed with a project like this. Sorting these items by a category or theme may be the best approach. For example, put pictures with pictures or documents and photos by a specific person or family. The way you organize these items is really a matter of what will work for you. However, if some of these items are in poor condition the best strategy is to organize and sort them by their condition. Organizing and sorting items by their condition can also help with prioritizing what needs attention first. If you have a letter from your Great Aunt Annie that’s so fragile to the point where it’s almost impossible to hold then this should be given priority over color photos prints that are less than a few years old and are in great condition. With documents or photos that are in extremely poor condition, you should have them digitalized immediately to preserve their content and avoid using the original as much as possible. It’s much better to have a digital copy then to lose the original. We will cover digitalizing in more detail in the coming weeks. Check out GenealogyChris’s blog next week for why’s it so important to keep your originals even if you decide to digitalize your items.